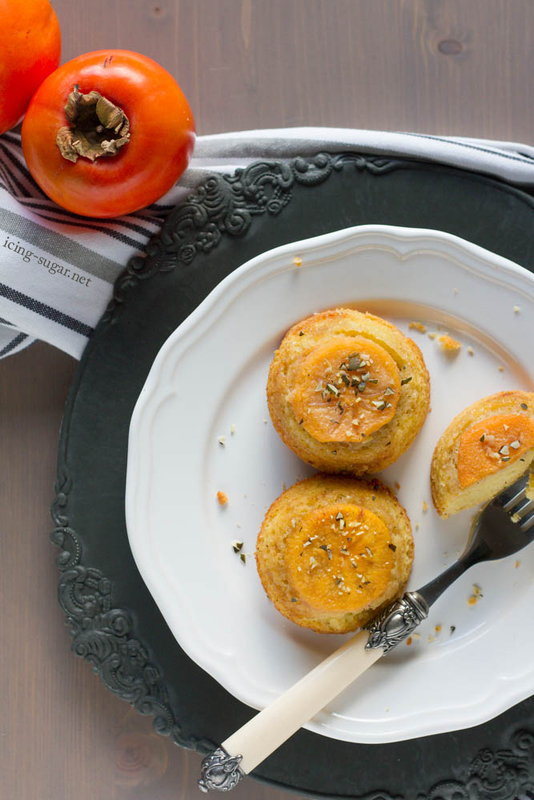 Can you imagine a food blogger without an oven? No? Me neither! Guess what happened to me this weekend… my oven broke 😦 Of course this has to happen on a weekend (so I don’t know yet how long it will take to let it fix), and of course it has to happen on a weekend when we have guests! Luckily I had prepared something sweet in advance. It had to be quick and easy as I had a lot of work so I made a nice little lemon tiramisu and a apple upside down cake and we all enjoyed it! Funny enough it is also an upside down cake (or rather small upside down (cup)cakes) but a completely different recipe than the quick and easy apple version which I did this weekend. This doesn’t mean that those sweet little cakes are complicated, they might just take a little more time than my apple version. 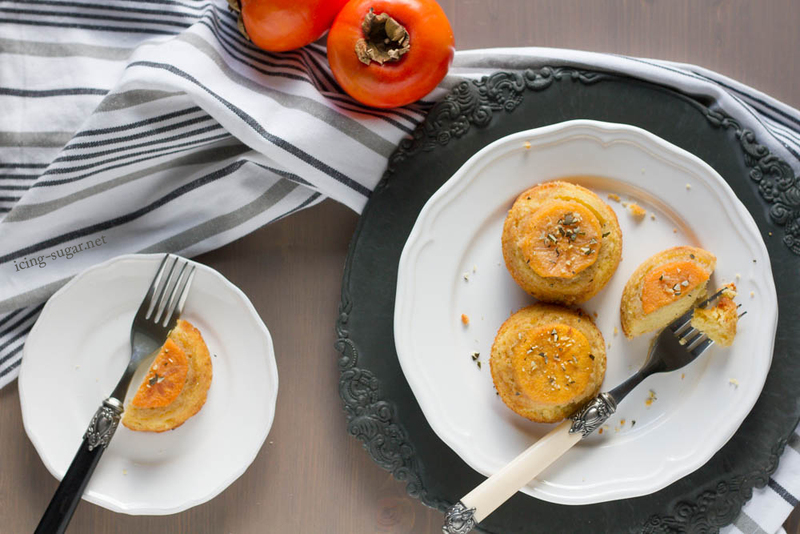 I made these little cakes with persimmons, also known as kakis around here. I have seen them in the supermarkets for such a long time but have actually never eaten them before. Until recently a colleague of mine brought some to work and kindly shared them with me. It was an eye-opening moment: I really like them and I could hardly wait to run to the next supermarket to buy some and get baking! Let the cakes cool in the form and use a sharp knife to cut along the edges of the cakes to release them from me form as they might stick due to the sugar mixture. 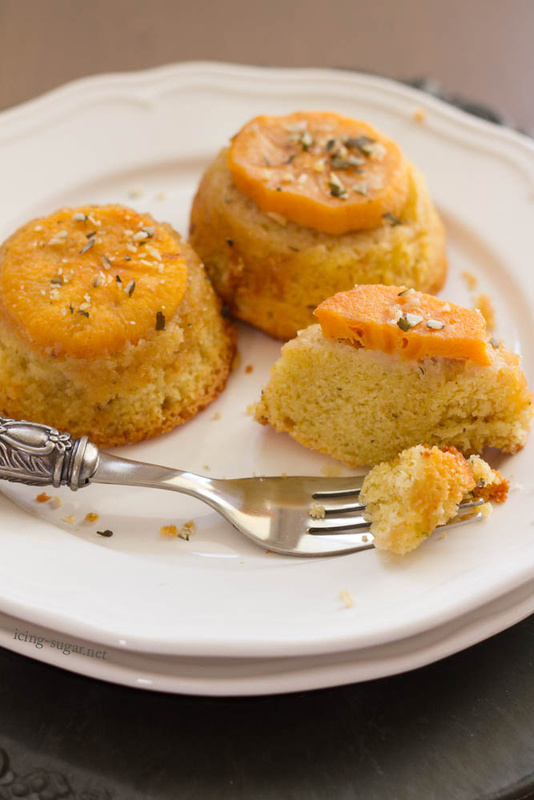 By using a cutting board flip the muffin form upside down to release the small cakes. 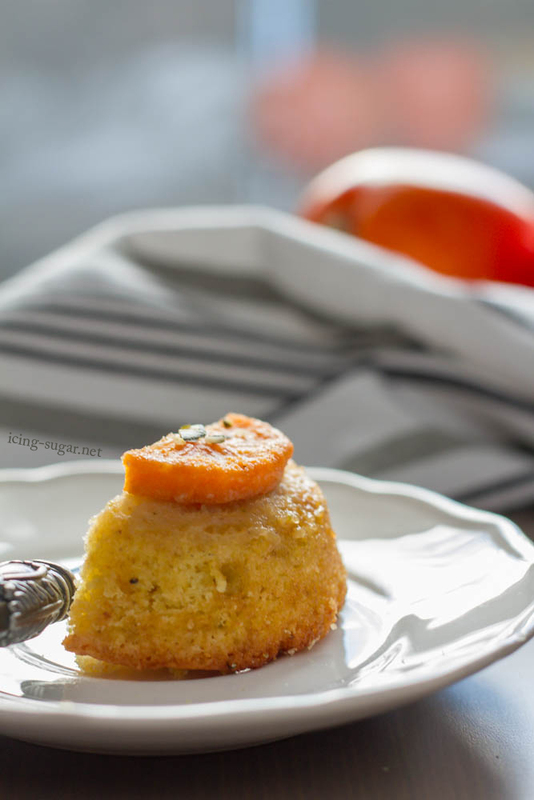 The small upside down cakes will have a crispy edge with a soft and chewy center, topped with the sweet and soft persimmon and some crunchy nuts!